Get inspired to make something regal with these beautiful Crown embellishment and sentiment stickers. It's the perfect way to give your crafts the royal treatment. 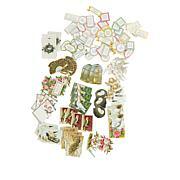 These are all 3D sticker embellishments that can be added to any of your card making or scrapbook projects. Variety of sentiments that have some not your common sentiments. There are masculine & feminine. This is a set I will order again. The colors are pinks, greens, blues, golden yellow, god foil. 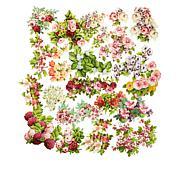 Bows, flowers, beautiful layer stickers & more. 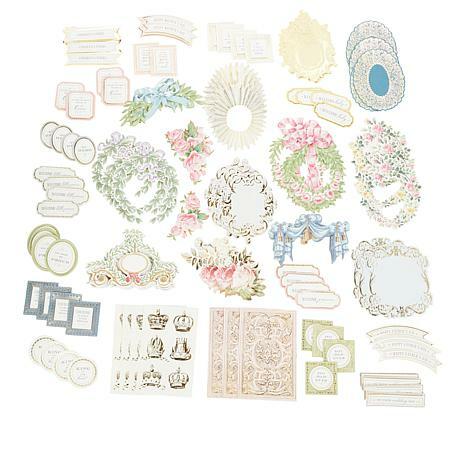 This amazing collection of embellishments includes unique pieces that will work with your year-round projects. They are more amazing when you see them in person so I quickly ordered a second set to extend my crafting stash! A "Must Have" for all AG Fans! 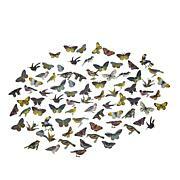 Great for masculine cards and more!Great value!Great addition to Anna G. collection! LOVE the details of this set. So happy HSN brings all of Anna Griffin Inc products to us. Really high quality embellishments.